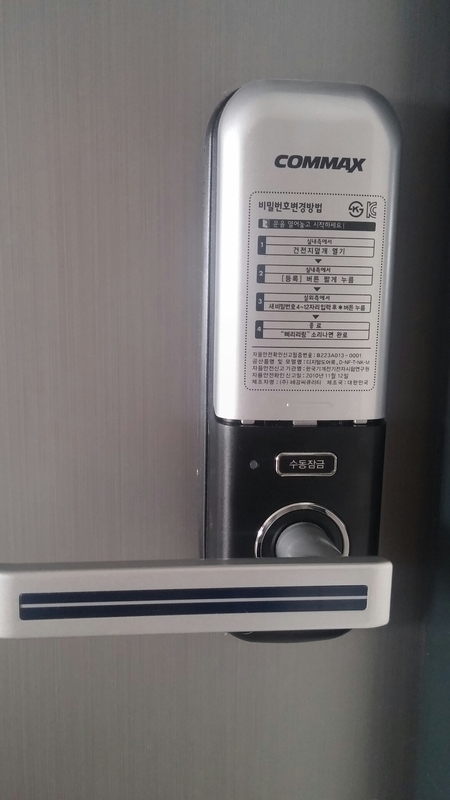 How to change the code on your door lock. When I moved into this apartment, they had set each of the door locks in the building to the same code, 1234*. I immediately set about changing that and thought I’d share the process. 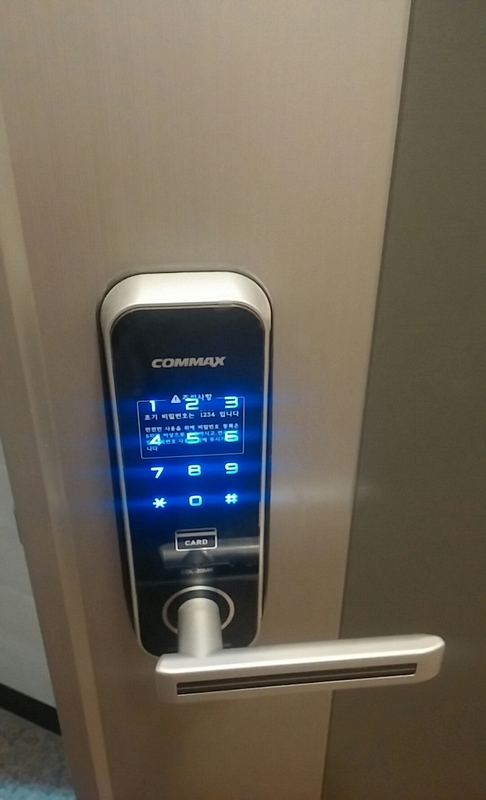 The brand of lock is Commax. 1. 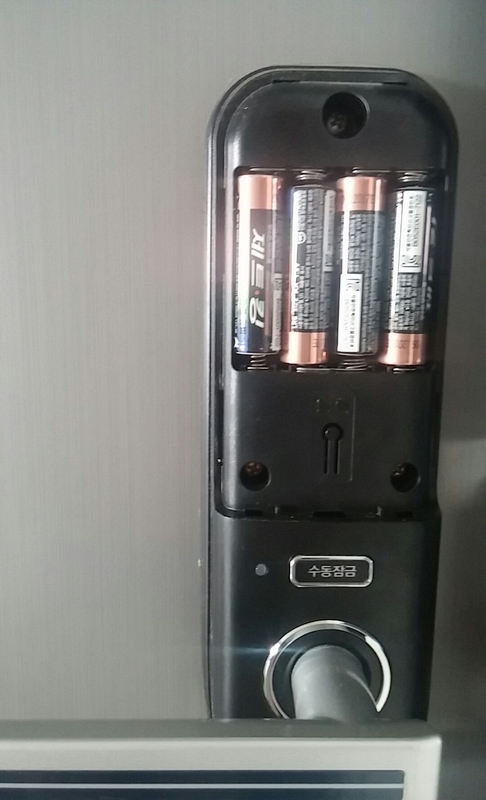 Take the cover off the battery pack on the inside of the door. You’ll see a black button just under the batteries. NOTE; IT’S THE BUTTON THAT SAY 등록 NOT THE BUTTON THAT SAYS 수동잠금! 2. Open the door and stand on the outside. Press the black button for about 2 seconds and you should hear a beep followed by the keypad lighting up. 3. Inset a 4 to 12 digit code followed by * and that’s your new code!